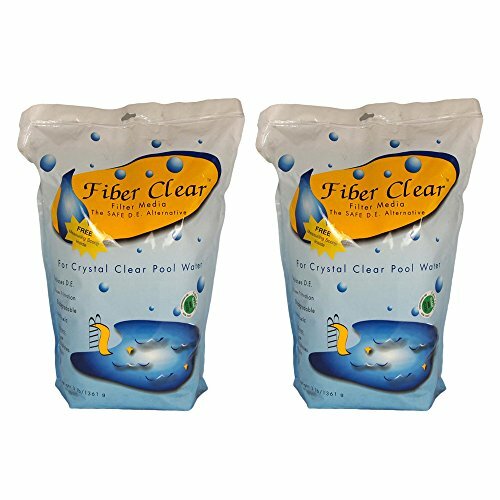 Fiber Clear is a safe and effective alternative to Diatomaceous Earth. Fiber Clear will filter down to 2 microns. This ultra-fine filtration will give you truly clearer swimming pool water. Fiber Clear is bio-degradable, non-toxic and environmentally friendly. 1 pound of Fiber Clear equals 8 pounds of D.E. If you have any questions about this product by Fiber Clear, contact us by completing and submitting the form below. If you are looking for a specif part number, please include it with your message. 14-in-1 Water Test Kit by NovoBlue - Tester Strips for Pool, Spa, Hot Tub, Aquarium, Drinking Water, Well - Detect pH, Hardness (TDS), Chlorine, Fluoride, Lead, Iron, Copper, and more!